Is that true? Well, it turns out there will be virtually no increase in wind, biomass, or hydropower in 2030 above what the Environmental Protection Agency (EPA) is expecting anyway, and only a relatively small increase in “other” renewables, a category that includes solar, geothermal, marine, and other technologies. But don’t take our word for it. 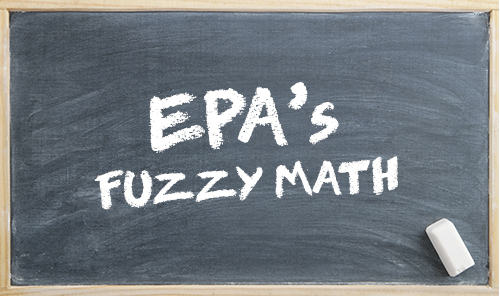 A new analysis of EPA’s own Integrated Planning Model runs for the CPP Final Rule issued a few months ago prove the point. The forecasts show that, whether under the agency’s mass-based or rate-base approaches, EPA expects CPP will do little to encourage renewable generating capacity, and even less for renewable electricity generation. As the data in the table below show, CPP—the crown jewel in the Obama Administration’s climate program—will have essentially no influence at all on the commercial adoption of wind, biomass, or hydropower electricity generating technologies. Wind energy, in particular, was expected to benefit greatly from CPP. But all of the approximately 35 GW of wind power that EPA estimates is going to get built between now and 2030 is in its base case. In other words, EPA expects that all of the additional wind turbines it’s projecting for in 2030 are going to get built with or without CPP. That’s right-- EPA own analysis shows that its multi-thousand page climate policy will have no impact on the commercial adoption of wind technology. If not wind energy, then who will be getting the “head start” the administration asserts CPP will provide if it’s not wind (or biomass and hydropower, either)? The answer appears to be those “other” renewables. What this means is that CPP’s entire impact is expected by EPA to consist of an increase of about 7% in total renewable capacity and 5% in total renewable electricity generation. increase total renewable capacity and generation slightly by adding a modest amount of (presumably) solar technologies. That’s EPA’s not-so-subtle way of saying don’t even think about building a new gas plant, because eventually we’re going to shut those down, too. Funny how environmentalists loved natural gas until they discovered we have lots of it. 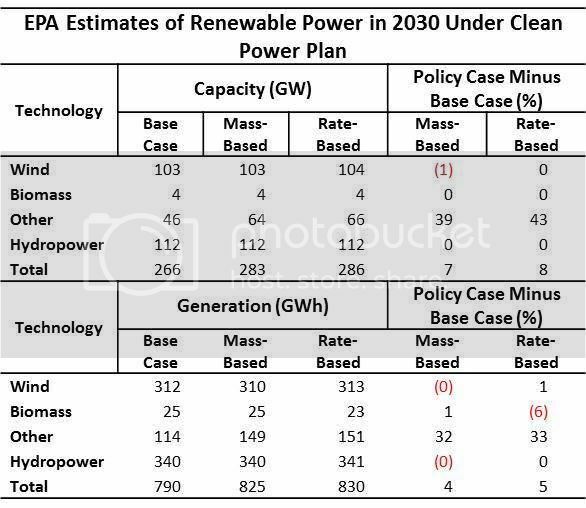 To conclude, EPA claims that the extraordinarily large amount of new renewable capacity it is projecting out to 2030 is going to get built regardless of whether or not CPP is implemented. So if all the heavy lifting occurs in the base line, that’s where all the cost are going to be—in the base line. We’ve heard this all before (see here, here, and here). This is just another example of how EPA, with the encouragement of environmental groups, has gamed the system to play down the costs of CPP by putting the expensive stuff in the base line, thus holding CPP blameless. Nevertheless, states still will be on the legal hook for delivering EPA’s base line. EPA is selling the states a bill of goods. They shouldn’t buy it. Stephen D. Eule is vice president for climate and technology at the U.S. Chamber of Commerce’s Global Energy Institute. With more than two decades of experience, Eule is a recognized and respected expert on the nexus between energy and climate change. He engages with business groups across the world, is asked frequently to testify before Congress, and is quoted often in major media outlets. The G7 on Climate Change: Same Old Wine . . . Same Old Bottle? Receive the Global Energy Institute's latest articles in your inbox.